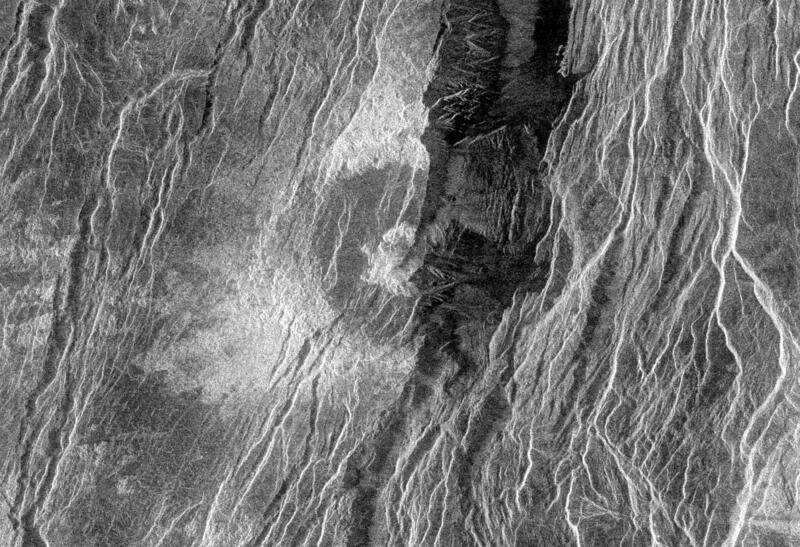 This Magellan radar image is of a 'half crater' located in the rift between Rhea and Theia Montes in Beta Regio on Venus. The unnamed crater is 37 kilometers (23 miles) in diameter and is located at 29.9 degrees north latitude and 282.9 degrees east longitude. 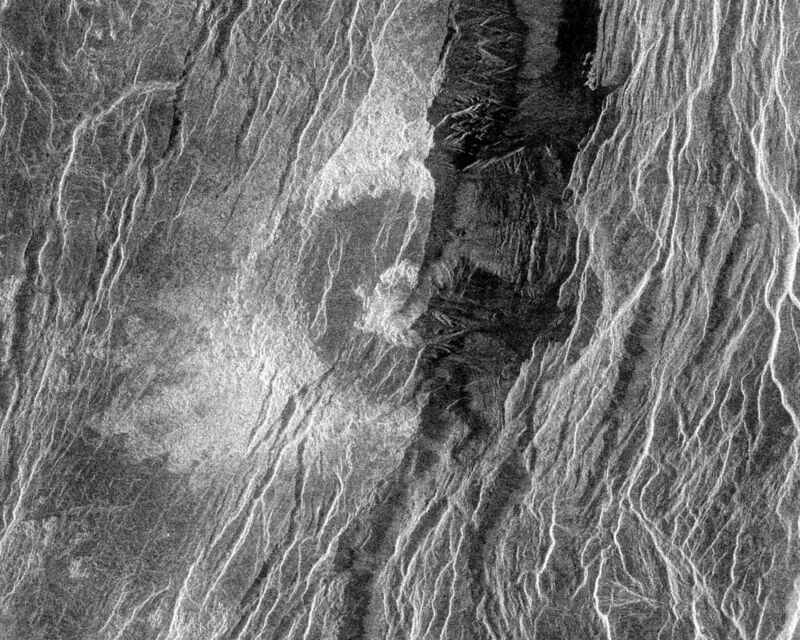 It has been cut by many fractures or faults since it was formed by the impact of a large asteroid. The eastern half of the crater was destroyed during the formation of a fault valley that is up to 20 kilometers (12 miles) wide and apparently quite deep. 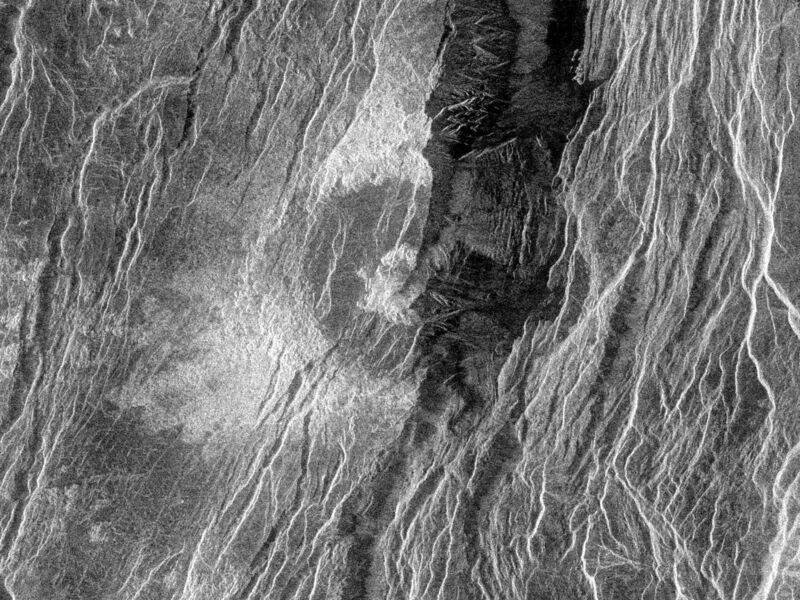 A north-south profile through the very center of this crater is visible as a result of the down dropping and removal of the eastern half of the crater. 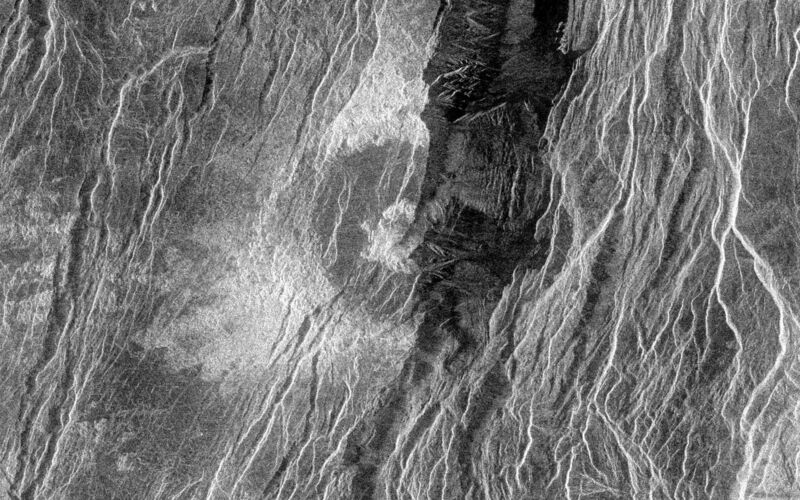 Magellan scientists expect to get a better view of the crater's geological features during a later mapping cycle of Venus.